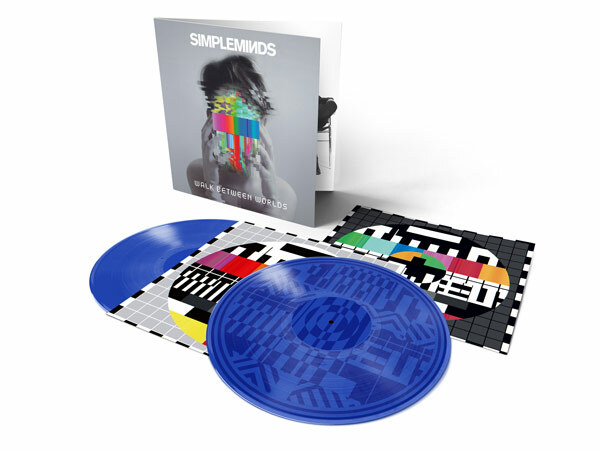 Simple Minds released their seventeenth studio album ‘Walk Between Worlds’ on the 2nd of Feb, 2018. The album was available to order in various formats including some special Exclusive Colour and Picture Disc Vinyl albums featured within several Deluxe Bundles containing Exclusive signed album artwork prints and a Limited Edition 7″ single. 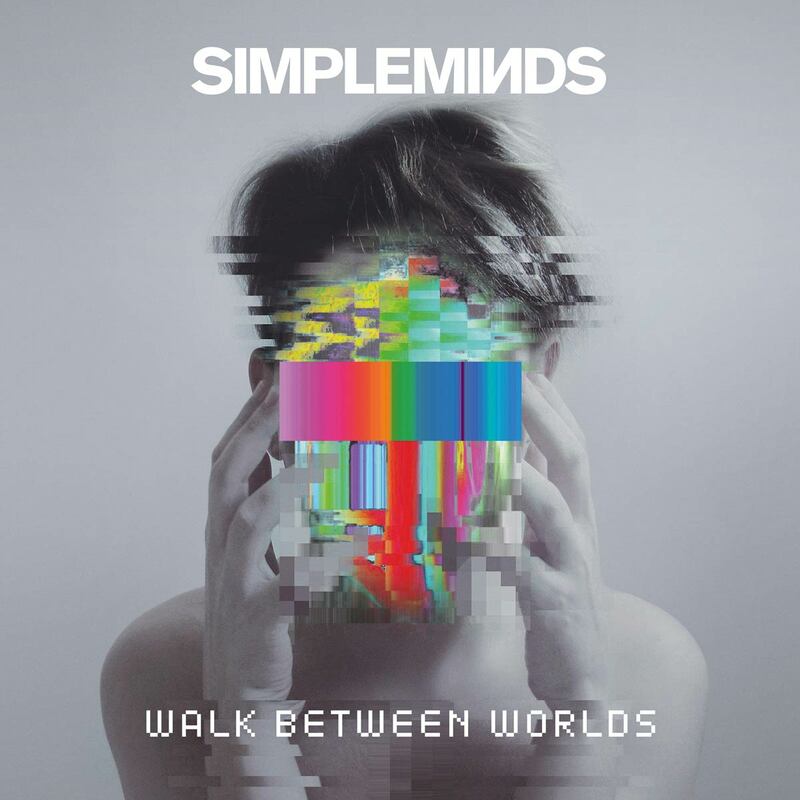 On 2nd February 2018, BMG release WALK BETWEEN WORLDS, Simple Minds’ first album of new material since 2014’s Big Music (which MOJO magazine declared “their best album in 30 years”). WALK BETWEEN WORLDS was produced by Simple Minds with Andy Wright and Gavin Goldberg, both of whom worked on Big Music. With its eight tracks rocketing past in 42 minutes, it is a relatively concise affair. It is also an album of two distinct sides, very much the old-school album format that singer Jim Kerr and Charlie Burchill grew up with as music fans. Side one tracks such as Summer and The Signal And The Noise revisit the glassy guitars and new wave dance grooves of the post-punk era and the second half explores more cinematic sounds, with the title track and Barrowland Star both featuring dramatic orchestrations recorded at Abbey Road. The album is bookended by two songs about faith, Magic and Sense Of Discovery. The first is a reflection on the desire and hunger of youth – the faith in their own abilities that Simple Minds possessed during their formative years. Sense Of Discovery, which features a melodic refrain that alludes to 1985’s Alive And Kicking, is centred on the voice of an older narrator passing on wisdom and advice to a younger individual. One of the album’s key tracks is Barrowland Star, named after the iconic ballroom in the East End of Glasgow that has hosted many memorable Simple Minds shows. It’s a song that takes the band away from their traditional comfort zone, layering strings and a spellbinding Charlie guitar solo (one that reminds Jim of Mick Ronson) over some poignant words. For Jim and Charlie playing the Barrowland was always a big deal, a mixture of excitement – and fear – it felt as if they were about to engage in a prize-fight rather than simply play a rock concert. The album artwork is by Brazilian visual artist Heitor Magno, whose work is often a surreal montage of vivid coloured imagery and black and white photography. The image he has created for WALK BETWEEN WORLDS is emblematic of Simple Minds metamorphosis. The central character on the front cover bearing an uncanny resemblance to a young Jim Kerr – the sleeve could also be viewed as a telling throwback to the Sons And Fascination era. FORMATS: WALK BETWEEN WORLDS will be available on standard and deluxe CD, standard, deluxe and picture disc vinyl, digital download and stream.